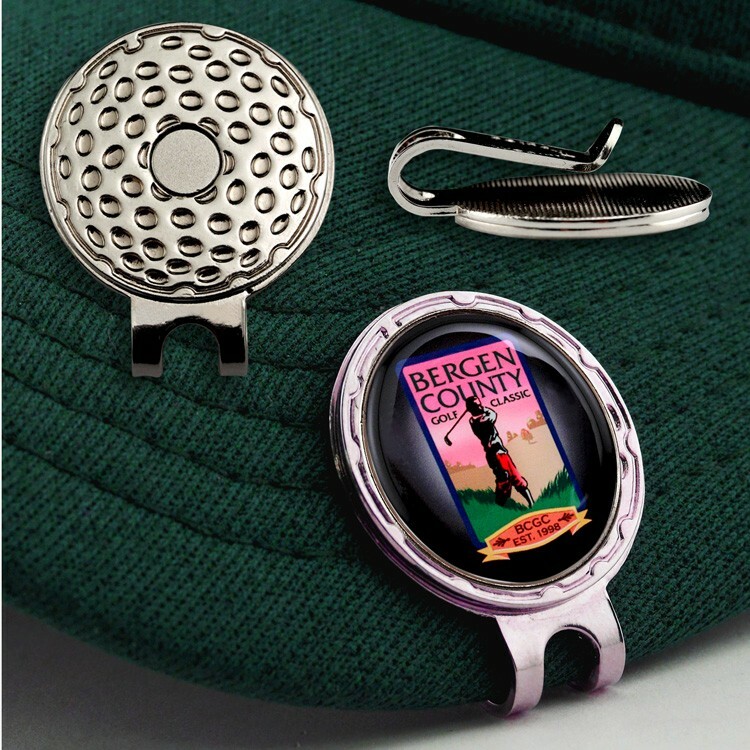 * Highly polished bright nickel golf hat clip with die-struck dimensional golf ball look and feel. * Easily attaches to cap or pocket. Fun and inexpensive souvenir that every golfer will use and value. * Die struck quality, specially priced for budget-conscious events. * Includes 7/8" full color epoxy dome ball marker.